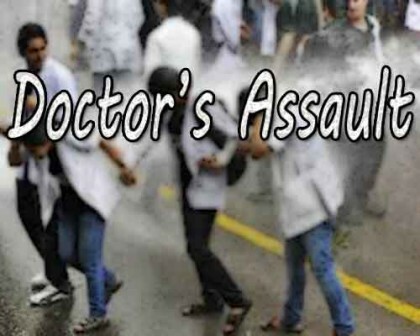 Another report of doctors’ assault has come to light. This time the case has come from D.Y Patil College, in Mumbai. The attack took place late evening on 19th November, 2015. An FIR had been lodged under the provisions of IPC and Doctors Protection Act. The accused have now been identified as Premnath Mhatre (36) and his brother Somnath (32) and their relatives Rakesh Bhoir (34) and his brother Rajesh (32) by the police. TOI reports that these accused were later released on bail. The incident has been strongly opposed by MARD who are demanding stricter punishment of upto eight years to be put in under the Doctors Protection Act. ” We would like to remind the authorities that the proposal for amendment in the DPA act 2010 must be put for discussion in the winter session of the parliament, failing which stricter measures will be taken from our side. ” said Sagar Mundada, President MARD.